Vernisage is a full service Web site design, logo design, hosting, Web marketing & Web site maintenance. We develop and manage professional Web site applications, and offer you all your design and needs at affordable prices. Our experienced staff will design a Web site for you easy to navigate, user-friendly, drive sales, reduce cost, and improve communication. 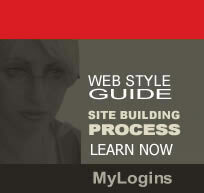 In the end your Web site will embody the message you are looking to convey.